Yeah, Lucy, I feel you. ^ Definitely me, the last few months. Minus that glorious amount of chocolate. Maybe that would have helped. "Okay, but ... where have you been? Are you still blogging? What have you been doing???" 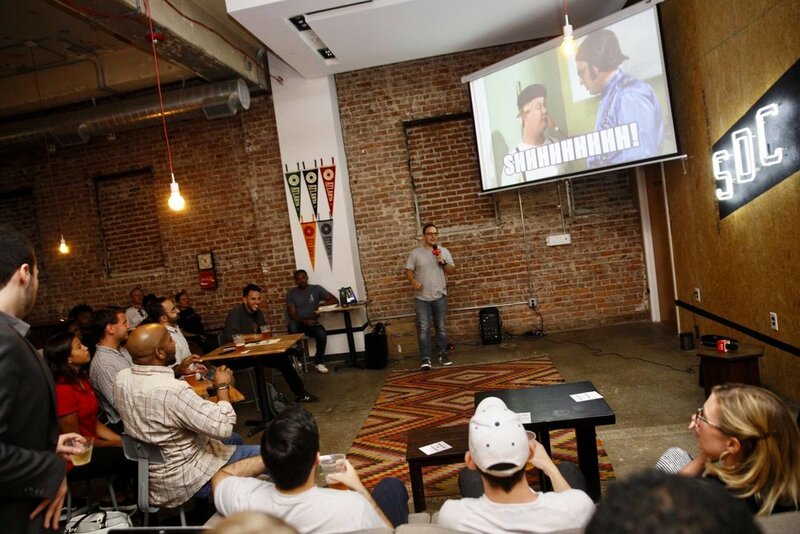 That would be Charlton (Startup Atlanta executive director), catching me at a startup event a few weeks ago, wondering what the heck was up with me. And he was not the only one. Whew, life really happened in the past week (more on all of that soon)! So I'm really behind but the recap is here nonetheless — better late than never, right? We're at 17 episodes of The Consumer Show, y'all! And the Switchyards team apparently didn't think they were doing enough, so they've created a new resource called Switchyards Design & Development, they started a new tradition of Switchyards Field Day (thanks to Tallia Deljou for organizing all the crazy teams! ), they resuscitated Friends of Switchyards, and Michael Tavani says there's more to come so keep an eye out! Last weekend, I did two things I've never done before: (1) I spoke at a tech conference, where (2) the attendees were 90 percent women. I know, I was shocked too. But, y'all, the inaugural WeRISE Women in Tech Conference from Women Who Code Atlanta was amazing. Being surrounded by so many women doing great things was inspiring, motivating and just plain fun.